The kit includes 32 count silk gauze, a colour block chart, detailed instructions, Anchor stranded cotton, a suitable needle, foam pad, and the whitewood rectangular stool pieces, which are simple to put together using wood glue. Prior to fitting the foam pad in place, the wood can be varnished with an interior varnish of your choice. Style: Georgian (1714 – 1830) / Aubusson (French). 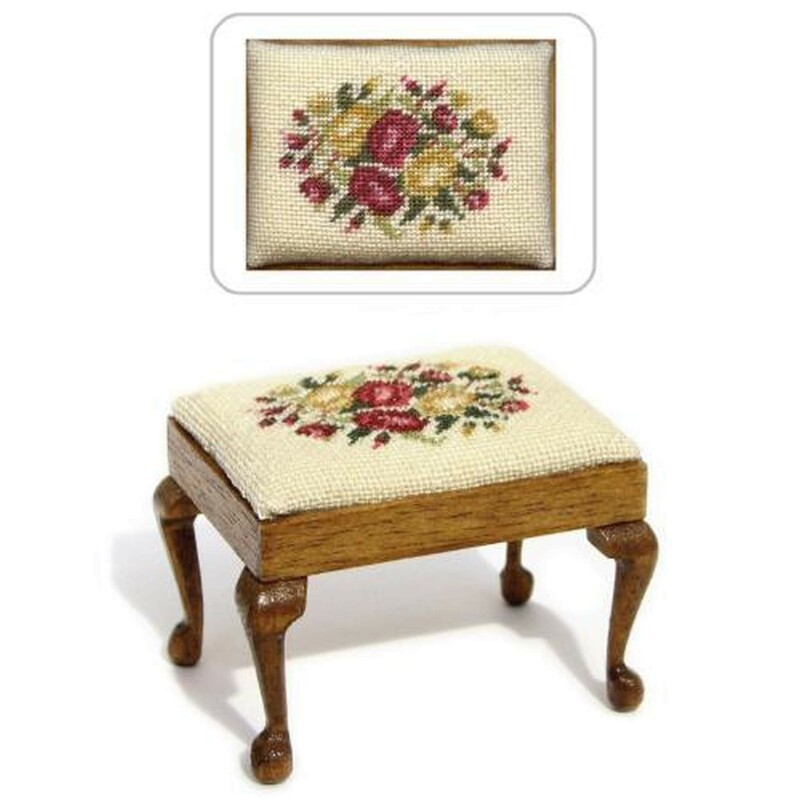 This design co-ordinates with many other of our doll’s house needlepoint items. It features a beautiful array of burgundy and gold roses and rosebuds, surrounded with leaves to make a really feminine pattern. Stand it next to the ‘Sarah’ carpet, which began the ‘Summer Roses’ range, and the effect is stunning.